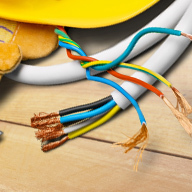 Enhance the functionality and appeal of any living space or place of business with the full suite of services offered by our electrical contractor in Norwalk, CT. The historic communities we serve are filled with vintage homes that are unprepared for the electrical demands of modern devices. 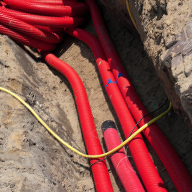 Whether you are planning to rewire an older home, or you are building a new commercial establishment from the ground up, you need a licensed and insured contractor with a track record of performance. O’Reilly Electric LLC has been providing the local community with efficient and affordable electrical services since we opened back in 2002. Since that time, we have developed a lasting relationship with many of the people that make this community a beacon to others. We offer free estimates and clear pricing on all of the services we provide. You have options when it comes to the electrician you hire. Make the smart choice and start saving money each month on your energy costs. Light up the night, and bring your interior to life with new solar panels and landscape lighting from our team. We are here to listen to your concerns, and our collaborative process puts you in control. Whenever you are faced with an electrical emergency, you can count on our technicians to answer the phone in your hour of need. Start a conversation regarding your electrical needs with one of our proven professionals, and learn more about what is possible when you hire the right group of electrical contractors. Your safety and your satisfaction are important to us, and that is why we take the time to keep you informed of every detail surrounding your particular project. We focus on building relationships with our clients, and we never rush through anything we do just to get on to the next project. Our group has the resources and reach needed to resolve any issue and complete any project correctly the first time. Whether you are in need of a simple repair or several of your commercial establishments need to be rewired, there is only one name to turn to. Our master electrician is capable of troubleshooting even the most complex of electrical systems, and the results speak for themselves. We have the tools and training needed to install new switches in your home, as well as complex data and security systems. 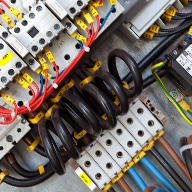 Get a solution to your electrical issue and not the runaround when you establish a partnership with an experienced electrical contracting company. Once you have experienced the difference that comes with the services offered by our master electrician, you are sure to become a repeat customer for life. 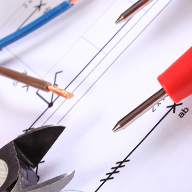 Contact us today when you need an electrical contractor capable of a wide range of improvements and repairs. We proudly serve customers in Norwalk, Greenwich, Stamford, Darien, and New Canaan, Connecticut, and surrounding communities. Copyright © 2019 O'Reilly Electric LLC. All rights reserved.